Building a home bar can be a fun and rewarding project. The web is full of “answer” and “how to” sites that will throw you just a few paragraphs and some photos on how to build a bar. While this can be helpful to some, the limited nature of these articles usually adds to confusion. As they say: “why reinvent the wheel”? A set of time-tested plans will save you from hours of guesswork and a pile of scrap material. 1. Complete illustrated plans, not just a bunch of photos. In the first stage of design, photographs may come in handy to help you decide on a theme or decor for your room. However, photographs won’t help you in purchasing and cutting materials or assembly of your bar. Professional contractor photos will entice you to hire them, but this is DIY remember? Intermediate and novice builder’s really benefit by skipping the expensive contractor and building from a proven set of plans. Consider the image above showing just the base framing dimensions. The base layer alone would take a considerable amount of time just to figure out. Don’t guess at the best layout and dimensions of each board. Wouldn’t using tested proportions work better? A set of plans using a tested design always saves time. We spent the time designing these plans, they’ve been fully tested by our members, now all you have to do it build them. Our three-dimensional perspective views will help you better understand the assembly process. We color code active parts for each step to clarify the assembly process further. 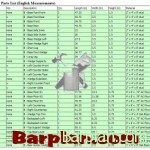 Numbered arrows point to parts listed in the materials list. It doesn’t get much easier than this! All assembly is broken down into easily digestible steps. If you get stuck, no worries, we have our Builder’s Forum and contact form to answer all your questions. You won’t get that from a photograph or one page answer site. The corresponding material and cut lists give you a complete inventory of building materials that you can take right to your favorite hardware store or big box home center. The Custom Home Bar Design tool included with your membership allows you to make reasonable changes in the length width and height of your project. 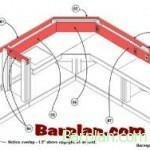 a store or contractor built home bar will cost thousands of dollars more than our DIY designs. Our home bar builder’s resource site includes all these plans and for one ridiculously low membership price. A paperback book of even one plan might run $20 or more at a book store. 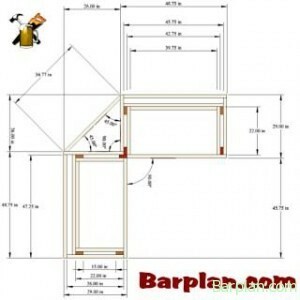 Our online collection of bar and bar back plans averages out to about $1.50 per plan! Yeah Richard, I hate those mystery measurements too. I bought a harbor freight green house (search this forum for it) and the top truss (M/F) connector was missing. They sent two (F) trusses that looked just like the (M), except for an inch. Long story short I fixed it using scrap aluminum. case closed.